Goat Milk: Is It Really Healthier Than Cow Milk? Goat milk is a dairy product that looks and tastes similar to cow’s milk. There are claims that milk from a goat is a healthier option to regular milk, but is there any truth to this? This article examines the nutrition profile and potential benefits of drinking goat milk. Despite being relatively uncommon in the Western world, goat milk enjoys popularity in many nations around the world. This type of milk is particularly widespread in the South Asian countries of Bangladesh, India, Pakistan, and Sudan. These four countries are the top producers of goat milk in the world (1). Although it shares many similarities with cow’s milk, there are some differences in nutritional composition worthy of investigating. Goat milk has a similar flavor and texture to whole cow’s milk. While there may be a slight contrast in taste due to the diet and environment of the animal, there should not be any significant difference. Key Point: Goat milk simply refers to the milk of a goat. It is a common drink throughout the world, especially in South Asia. Before we analyze some of the unique characteristics of goat milk, let’s take a look at the overall nutrition profile. The data below shows the caloric, macronutrient, vitamin and mineral values for the milk per 100 grams and per 240 ml cup (2). As the table shows, goat milk provides slightly less carbohydrate than regular cow’s milk (4.5 g versus 5 g). Since goats generally graze on fresh pasture, goat milk also offers a higher amount of omega-3. Goat milk is a good source of B vitamins (especially riboflavin/vitamin B2) and vitamin A. Goat milk contains numerous minerals, and it offers high amounts of calcium and phosphorus. Key Point: Goat milk is an excellent source of protein, vitamins, and minerals. Calcium, vitamin B2, and phosphorus concentrations are particularly notable. Is Goat Milk Healthier Than Regular Cow Milk? How does goat milk compare to cow’s milk regarding its nutrient profile and the compounds it contains? Research suggests that the chemical composition of goat milk may make it easier to digest. Goat’s milk: contains A2 beta-casein and minimal amounts of A1 beta-casein. The digestion of A1 types of casein in cow milk leads to the production of beta-casomorphine-7, an opioid peptide. Unfortunately, in some people, beta-casomorphine-7 is associated with intestinal inflammation, various digestive issues, and allergic reactions (4, 5). Studies also suggest that goat milk is a good alternative to cow milk in children who show symptoms of allergy (6). Overall, the research on A1 vs. A2 milk is currently not extensive, and we can’t make any firm conclusions about their relative health effects. However, goat’s milk may be a better option for people who show signs of sensitivity to cow’s milk. Key Point: Initial research suggests that goat milk is easier to digest than cow milk. It also appears to cause fewer sensitivity issues. Goat milk provides different levels of vitamins and minerals compared to regular milk. However, the contrast is minimal, and the milk is higher in some nutrients, and lower in others. Overall, the two kinds of milk are not vastly unlike, and the differences are just something to be aware of. However, they are not big enough to state that one type of milk is significantly better than the other. Key Point: Cow and goat milk offer slightly contrasting amounts of nutrients. Lactose is a naturally occurring sugar found in milk, and it consists of two types of sugar; glucose and galactose. On the negative side, a large number of people have either sensitivities or intolerance to lactose. In this regard, estimates state that approximately 65% of the global adult population has difficulty digesting the sugar (8). According to a recent study that sampled the lactose content of various sources of milk, cow milk contains 4.93 grams of lactose per 100 grams. Furthermore, a UC Davis research report confirms that goat milk’s lactose concentration “is usually found to be lower than that found in cow’s milk” (10). Despite this difference, the actual amount of lactose present in both types of milk is still reasonably close. It is, therefore, unlikely that goat milk’s lower lactose content will provide any significant benefits. However, for someone with very slight lactose sensitivity, it may lessen the reaction. 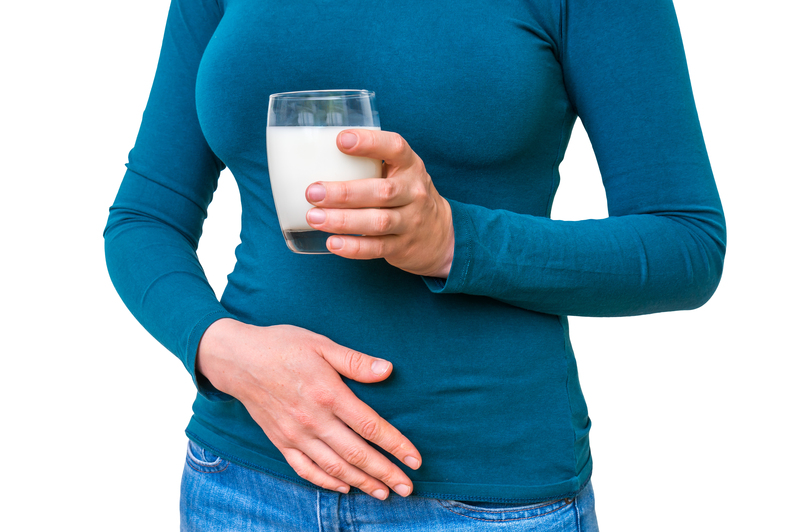 For anyone with lactose intolerance, this guide here examines whether Lactaid pills are an effective solution. Also, another option for those with lactose intolerance is to use cow or goat milk to make kefir, which leaves only trace amounts of lactose. Key Point: Goat milk has a lower concentration of lactose than cow milk. However, there is only a minimal difference. Goat milk is a good source of oligosaccharides. For those unaware of these compounds, oligosaccharides are a unique type of carbohydrate that (mostly) escape digestion (11, 12). Although we require further studies on oligosaccharides, initial studies suggest they may have various health benefits. For example, research demonstrates that the compounds may potentially enhance immune function and insulin sensitivity (13, 14). One of the most concentrated sources of oligosaccharides in nature is human breast milk. Goat milk does not match the concentration of oligosaccharides found in human milk, but it provides the best animal milk source (15). Compared to cow milk, the oligosaccharide content from the milk of goats is, on average, 5-8 times higher (16). Key Point: Goat milk supplies a much higher amount of oligosaccharides than cow milk. Conjugated linoleic acid (CLA) is a fatty acid that naturally features in various animal foods. Although research is in its infancy on CLA, various studies suggest that this fatty acid may have positive effects on weight loss (17). Per 100 grams, goat milk provides approximately 11.5 mg of CLA on average (18). In contrast, the CLA concentrations in regular cow milk can significantly vary depending on the diet of the animal. Studies on the CLA content of milk demonstrated that cows fed grains or hay had a CLA concentration ranging from 7.3 mg to 9.0 mg per 100 grams. However, the amount of CLA in pasture-raised cows ranged from 8.9 mg to 22.1 mg, depending on the ratio of pasture to grains the animals ate (19). Since the majority of milk comes from predominantly grain-fed cows, goat milk should (on average) contain slightly higher concentrations. Key Point: Goat milk is a richer source of CLA than grain-fed cows. Interestingly, due to the differing composition of goat milk, some nutrients may be more bioavailable. For instance, goat milk contains a higher number of nucleotides (compounds that help to regulate iron absorption). This fact explains why studies find the iron in goat milk is more bioavailable than in cow milk (20, 21, 22). Additionally, animal studies show that the uptake and retention of copper, selenium, and zinc are higher with goat milk compared to cow milk. It is worth noting that animal studies do not automatically infer the same would be true in humans. However, researchers believe this should be the case since goat milk shares a closer resemblance to human milk (23). First of all, goat milk does appear to offer some advantages, and it is potentially a better option than cow milk. Goat milk arguably has a slightly better nutrient profile, and it provides more beneficial compounds (like CLA and oligosaccharides) and lower amounts of problematic ones like lactose. However, there are no truly substantial differences between goat milk and regular milk, so these potential benefits shouldn’t be over-exaggerated. For instance, there is no real research to substantiate the idea that relatively small increases in CLA or oligosaccharides would translate to measurable benefits. If people have sensitivities to lactose or milk protein, goat milk could be a good alternative choice since it is less likely to cause reactions. All in all, both cow and goat milk are healthy choices for anyone that can tolerate milk well.